IRELAND: Mainstream Renewable Power has placed its 1GW supply deal with Sinovel "on hold" pending its legal dispute with AMSC. 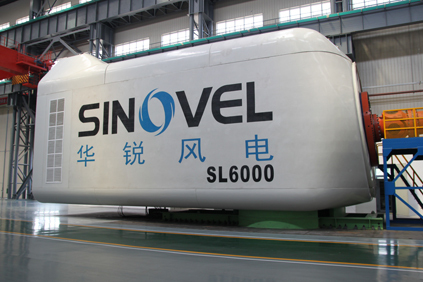 Mainstream announced its deal with Sinovel in July, two months after AMSC announced the Chinese manufacturer had refused a shipment of wind turbine electrical components. Mainstream said it decided to put the deal on hold following the conviction of an AMSC employee in Austria for supplying AMSC grid codes to Sinovel. AMSC and Sinovel are going head-to-head in the Beijing High Court over the row. Mainstream corporate finance director Fintan Whelan told Windpower Monthly: "Until that [the legal row between Sinovel and AMSC] is resolved, we have put things on hold with Sinovel. The deal will be on hold until they [the two firms] sort out their problems." Speaking about the Mainstream deal at the time, Sinovel senior vice president Lecheng Li said the first project would go into production this year. He added: "We plan to supply Mainstream with a steady flow of turbines through 2012 and 2013 reaching an average of 250MW per annum from 2014 onwards. As we gain certainty on project execution schedules we will review our plans for localising operation and maintenance activities as well as possible component manufacturing." However, Sinovel has not started production on any Irish projects. Mainstream said it is currently looking at alternative suppliers. It hopes to install 50MW in Ireland in 2012.